Rick Perales (center) and his crew at Seaboard Cafe. I arrived at Logan’s Trading Company in Raleigh shortly after 9:00 a.m. on a chilly Monday morning. Logan’s is an indoor and outdoor garden center housed in a long red brick building that could pass as a town hall of some old country town. Pillars below a triangle Greek style pediment flank the entrance and exits. Once inside Logan’s, you enter what can only be explained as a garden lover’s fantasy, vegetables, shrubs, trees, bird baths, fountains, patio furniture and plenty more. If you stick your fingers in the dirt, there is something at Logan’s for you but I wasn’t there to prove what a terrible green thumb I possess. 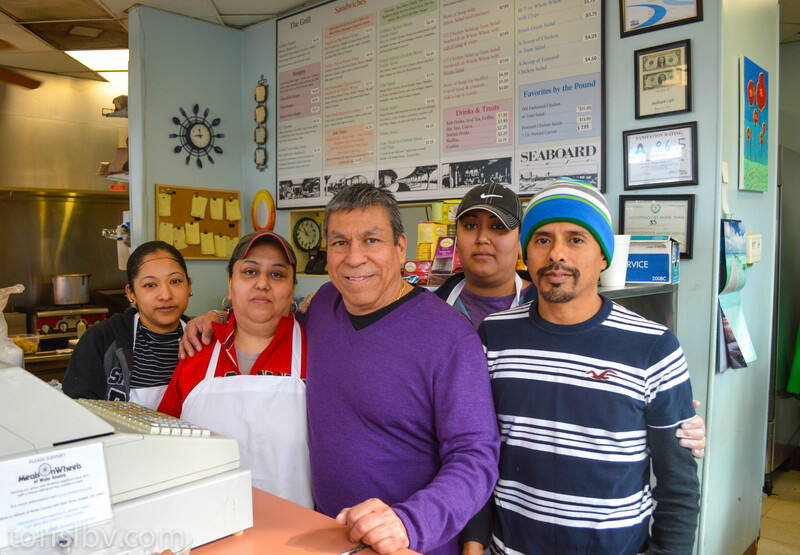 I was there to meet with the owner of Seaboard Café, Rick Perales, and talk about their locally famous chicken salads. 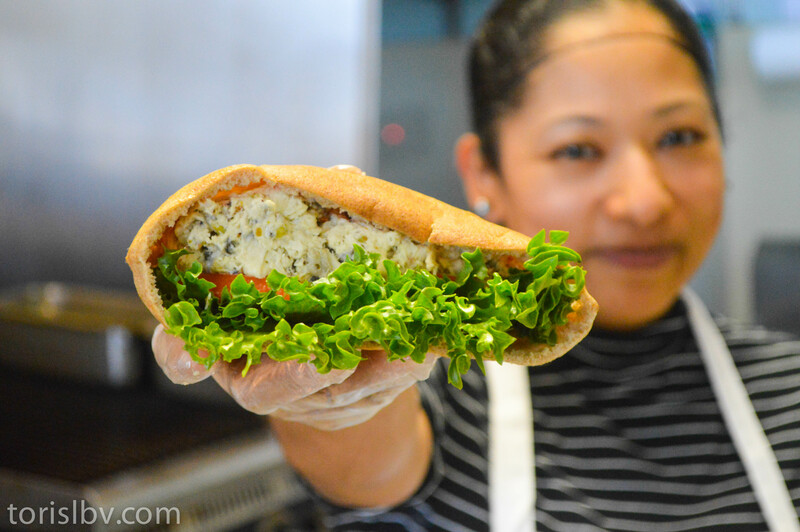 We did talk about chicken salad but more importantly Rick openly and candidly shared his journey that led him to making chicken salad and Seaboards other popular offerings in the small café beside the train tracks. In 1988, Houston, Texas native Rick Perales was unsure of what direction his life was headed. He was recently laid off from his position at a Triangle electronics distributer and battling alcoholism. Three years later he would find his direction in a small lunch counter next to the railroad tracks of the former Seaboard Station. 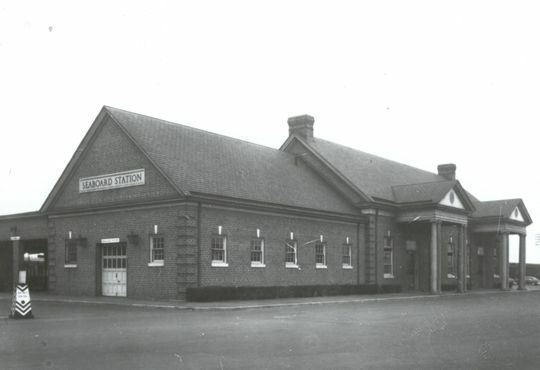 The Seaboard Train Station was built in 1942 and operated until 1986. When the Logan Family decided to move their garden store to the vacant Seaboard Station in 1991, Rick was curious about what would happen to the small diner space inside the station that once serviced rail passengers. There were no immediate plans in place for the small lunch counter but Rick’s business plans and desire convinced the Logan’s to allow him to open and run Seaboard Café with zero experience in the restaurant industry. Rick’s life plans never included running a restaurant, he spent most of his life wanting to be a biologist but would turn his attention to attending dental school. Faced with the possibility of massive loans and a realization that working in peoples mouths might not be for him, dental school plans went by the wayside and left a feeling of failure and emptiness. The void during that period in life was filled with excessive drinking and marked the beginning of Rick’s battle with alcoholism. After opening Seaboard Café Rick faced early challenges and didn’t pay himself for the first 3 years but continued to work hard everyday to learn how to make Seaboard Café successful. He attributes his ability to keep trying to him being to stubborn to know when to quit. Along the way the business has taught him important lessons not only about the food industry but also about life. He recalled a story about an employee that was cheating him and how the simple words of a customer changed his outlook on how he operated his business. “Never ask someone to do something that you don’t understand how to do yourself”. That moment was an eye opener for Rick and forced him to take a good look at how he was operating his business. He let the cook go who was taking advantage of him and hired a woman, who although she was his employee he calls her his mentor, Mary Ferrar. From that moment Rick started spending full days in the kitchen learning how to cook, how to operate a kitchen and how to make tough decisions. Mary worked alongside Rick for 12 years until she passed after suffering a stroke. Before she left she helped Rick in one last aspect of his life by helping him face his battle with alcoholism. Prior to her stroke, she confronted Rick about falling off the wagon and turning back to alcohol. Rick’s visit to Mary in the hospital was a wakeup call and from the look in her eyes Rick knew what he had to do. Shortly after she passed, Rick stopped drinking and has been sober ever since. I am a firm believer that people are placed in our lives for a reason and they don’t leave until they show their purpose, listening to Rick talk about Mary further confirmed that belief. As Rick spoke about Mary and showed me her picture on the wall in the café I could hear in his voice how much she meant to Rick personally and to his success with Seaboard Café. Rick has been running Seaboard Cafe for 23 years and faced many obstacles with the business and personally. The menu started with simple fare like burgers and dogs then evolved to add scratch-made, muffins, soups, salads and sandwiches, catering to a loyal downtown Raleigh crowd. 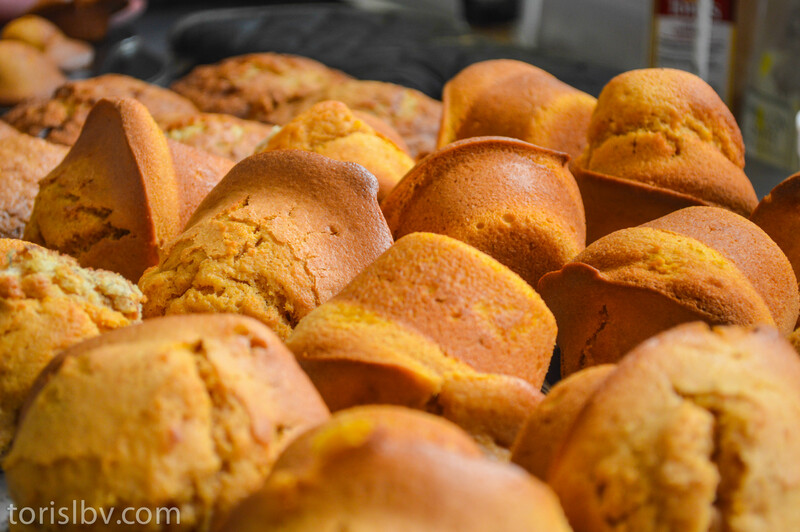 Just looking back at their daily tweets of specials induces hunger pangs, grilled Jamaican ham sandwiches, jalapeño corn muffin, grilled basil pesto, grilled tarragon walnut chicken salad and it goes on. Rick was gracious enough to share one of their most popular chicken salads, Pistachio Chicken and I returned the following week to watch it being made. When I returned the following monday morning, the crew was already moving their way around the kitchen making preparations for lunch service. It was well before 10am and the smell of soups and chili cooking gave me an immediate post breakfast hunger cramps. I was handed a spoonful of a spicy peanut soup that I would bathe in if given the chance. Rick came around the corner with his perpetual smile and directed me to Magdalena “Maggie” Palafox who had just started preparing the chicken salad. She already had a bowl of chopped chicken breasts and I followed her to the small walk-in fridge behind the kitchen. She wrestled around in a cardboard box lined with plastic until a measuring cup emerged with pistachios. She returned to a skillet already heating oil and added the pistachios and tossed them around for a couple of minutes. Maggie gently placed two cloves of garlic into a metal press and squeezed the garlic into the pan. The garlic hit the pan with a sizzle and the smell of garlic and pistachios spread throughout the small kitchen. Next the pistachios, garlic and olive oil went into the food processor followed by a bowl where it met with all of the final ingredients. The chicken salad is either served on a warmed pita or in a melt between two slices of white bread. 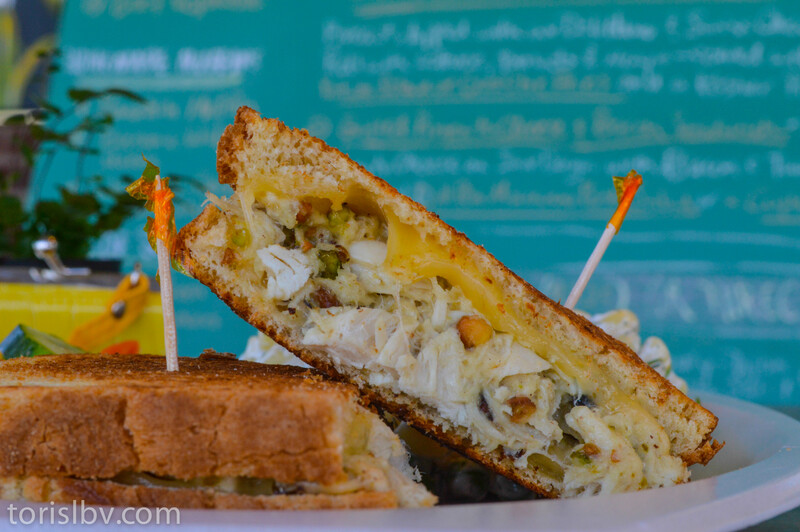 Below is the recipe for the pistachio chicken salad that is served at Seaboard Café. If you are in the Raleigh area, I suggest stopping into Logan’s Trading Company and Seaboard Cafe. They combine to form a very unique place with a unique histories and excellent reuse of a building who’s glory days were long past but has found a second life as businesses that add value and purpose. Set chicken aside in a large bowl. Add olive oil to a medium/high plan. Add pistachios and sauté for 3-5 minutes, mixing often. Lower heat and add garlic then sauté for 5 minutes (do not burn the garlic). Pour olive, pastachios and garlic into the food process or and chop for 1-2 minutes and place in a bowl. Add pistachio mix parmesan, sugar, salt and pepper to cubed chicken and mix well. Stir mayo into the chicken and mix. Serve chicken salad on heated pita, use in a paddy melt or over the top of a salad.